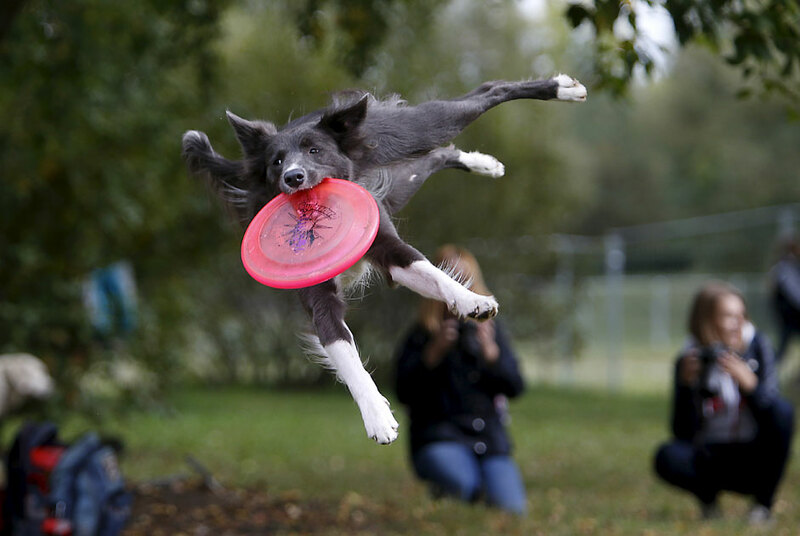 A dog catches a frisbee during a dog frisbee competition in Moscow,September 13, 2015. Dogs and their owners took part in a variety ofdistance and accuracy tests during the competition to check theirfrisbee skills. A dog catches a frisbee during a dog frisbee competition in Moscow, September 13, 2015. Dogs and their owners took part in a variety of distance and accuracy tests during the competition to check their frisbee skills.